This is my favorite shot from a quickly-scheduled shoot of a multi-ethnic group in front of some of our nation's monuments. It is one of the shots I took in between the "group-style" shot. The backdrop is the newly opened WWII Monument. These are the friends I could gather in 24 hours, minus a few. 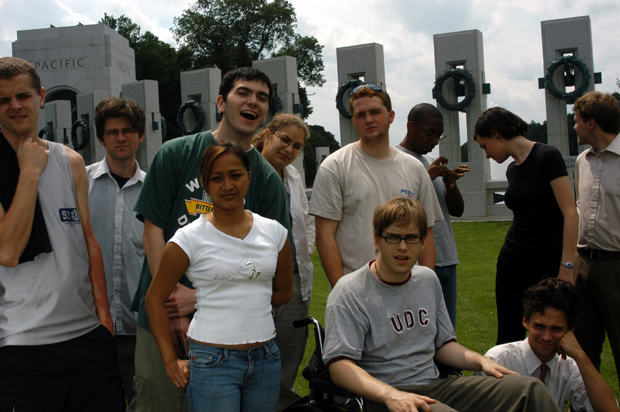 An agency asked for a multi-ethnic group in front of some of the monuments to promote the National Greenhouse Survey.